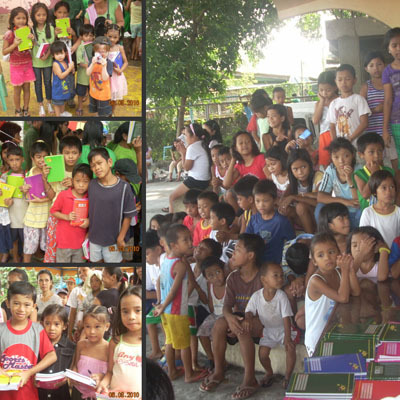 Every year in the month of June, I have pledged to donate school supplies for underprivileged Filipino kids. Did you know that there are kids in the small provinces that go to school without the necessary school supplies? Do you remember the feeling of opening a box of crayons that promises hours of fun and possibilities? This would be another project for Christmas, coloring books and crayons. 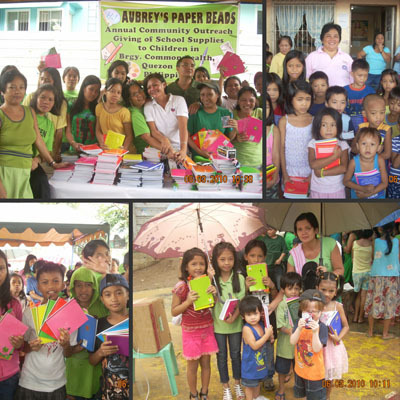 With the help of my sister Joann and her husband Jun we distributed notebooks, pencils, paper and crayons to Filipino kids. 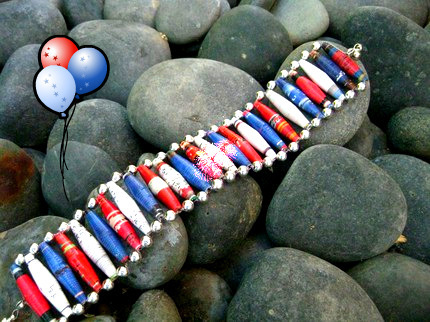 Paper Beads and Paper bead making has become a symbol for mostly women in Third World Countries to make a difference in their lives. 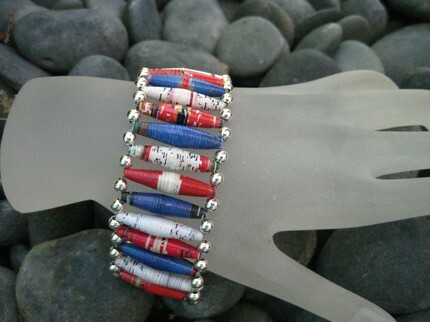 To celebrate July 4th, I was planning on making something of red, white and blue (if there were more than 24 hours in a day), instead, here’s the Patriotic Ladder Bracelet I made last year and sold on etsy. Upcoming Posts: How to Do Kumihimo Braid, Paper Strings, Tutorial on Button Rings. That’s so generous of you Janice! 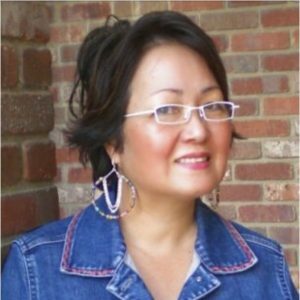 I’m a Filipino! 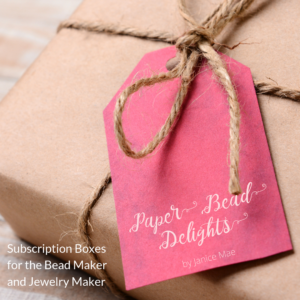 I’ve come across your site because of the paper beads! 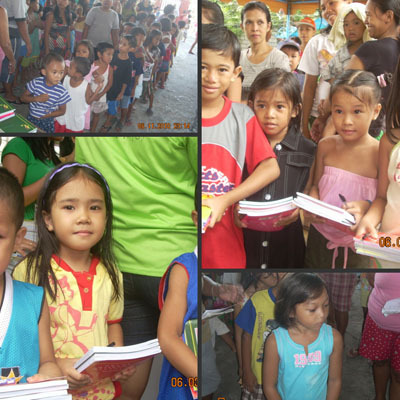 yes it sure gives us this warm feeling seeing these children hugging their notebooks and giving us their big smiles, congratulations, Janice!! Janice it touches my heart to see all those beautiful children with their smiling faces! I Applaud all of you that have made such a difference for all of them!